Here’s how I see it. Upon Jesus’ return to heaven the Holy Spirit took Jesus’ place ushering in a stage of spiritual development and understanding, guiding the disciples into the truth of Jesus and the Father’s ultimate plan of salvation. The same Holy Spirit is still carrying out the instructions of the other two members of the God Head today. In you! In me! It should be noted that the Spirit “guides” He does not hand it to us on a silver platter. In other words, we still need to go through the “stuff” life throws at us under the watchful eye and ministry of the Holy Spirit. I am convinced that the only way to get someone to believe in God and begin to establish a relationship with Him is to help them realize their need for God. 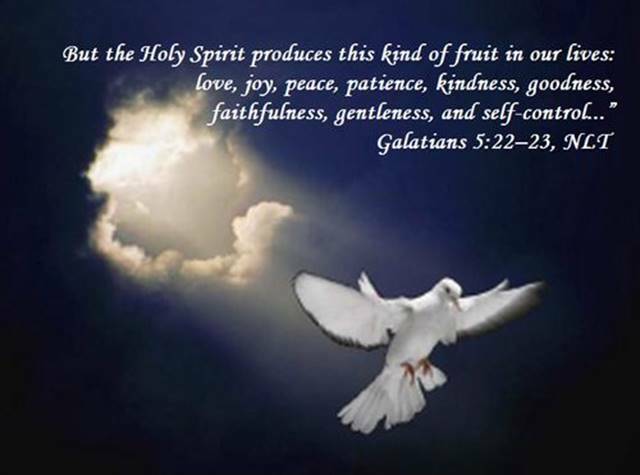 Since the Holy Spirit is the first encounter with God before making their first encounter with God they need not only know there is a Holy Spirit they also need help to begin understanding as best they can the Holy Spirit has the “map” to establishing a relationship with God. That’s where we come in. at some point in our lives we discovered our absolute need for God and when we did we opened ourselves up to the Holy Spirit and the rest is in our personal history book. Then with a great deal of prayer and patience we share our belief in the Holy Spirit and open up our history book up to them and let the Holy Spirit take over for us. And in God’s time the door will open, and the Holy Spirit will guide them into their own understanding of God’s truth of their need for a relationship with Him. There are those who believe the first contact with God is in a church, however some refuse to enter a church therefore their first contact must be “where the rubber hits the road” on their trek through life. Isn’t that one of the reasons for Jesus’ trek on earth? Relationships with God are planted in one’s life trek and then nurtured in a church environment. My point in all of this is for each of as history teachers / story tellers is to examine our own belief and relationship in the Holy Spirit then constantly and consistently deepening it. Always remember we cannot give another what we don’t have, and we can only take people as close to God as we ourselves are.